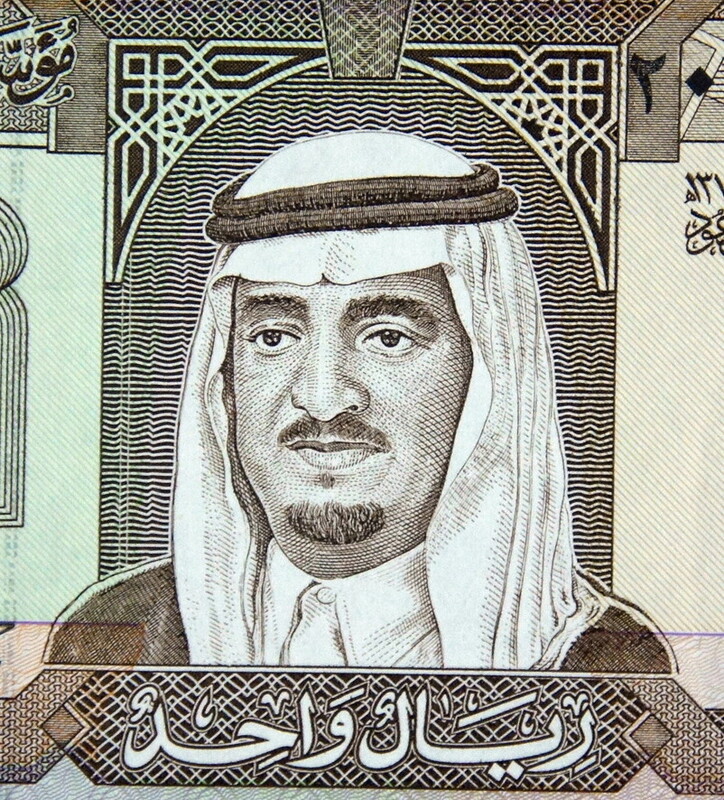 The 1984 Saudi Arabian money 1 Riyal features King Faud (1923-2005) on the front. This banknote was part of the 4th series printed of the Saudi Riyal. A 5th series printed in 2007 phased out the 4th series notes except the 1984 Saudi Arabia 1 Riyal note. Because the 1984 1 Riyal featured the late King Faud it was an exception and the only note to remain legal tender from the 4th series under Saudi Arabian monetary law. Rare in mint condition the 1984 Saudi Arabia 1 Riyal is a lasting collectible of Saudi Arabia money and the late King Faud! Banknotes are more than just money. A country’s currency tells a story of the culture and history of a country. In our current era of digital money actual printing of banknotes is becoming obsolete. Increasingly rare banknotes not only provide collectible memories but also can be small investments. visit my ebay store to buy this and other banknotes!